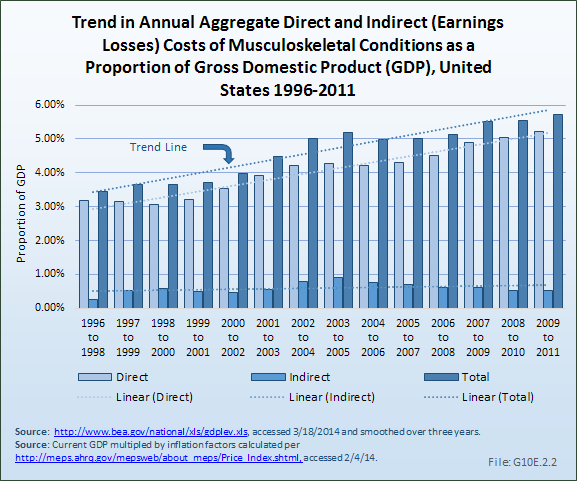 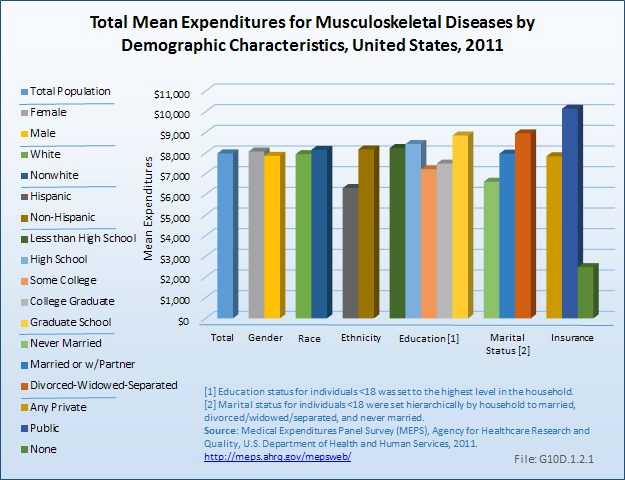 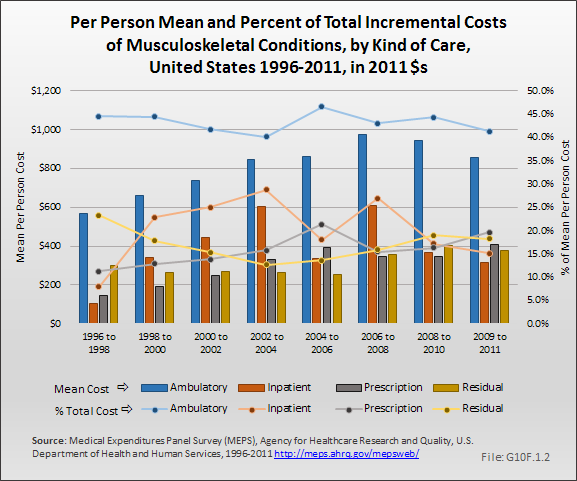 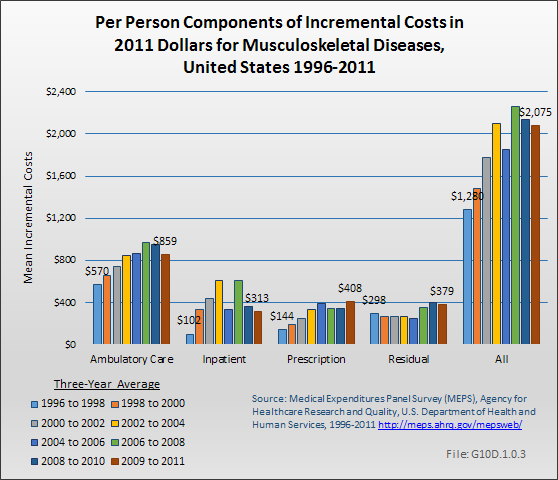 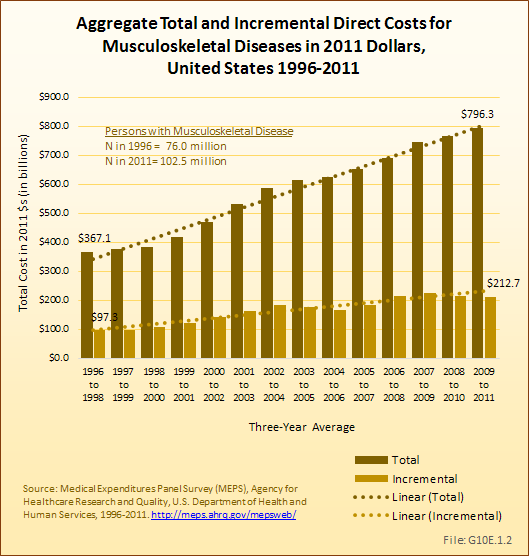 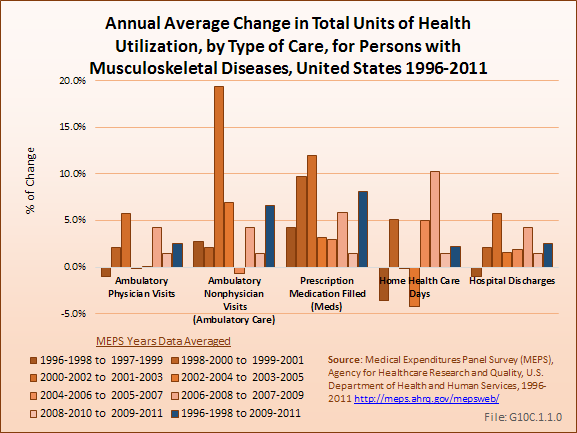 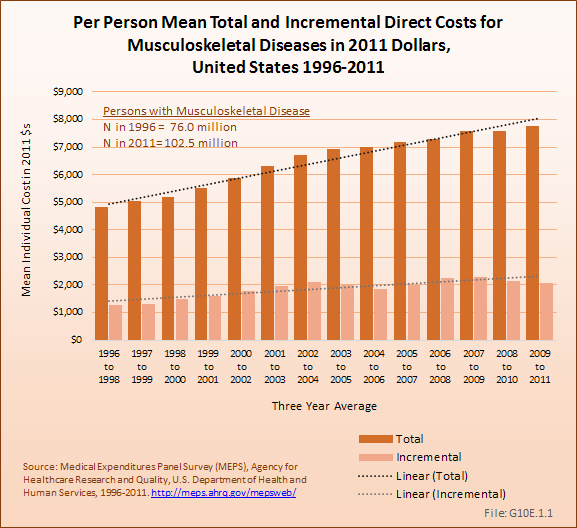 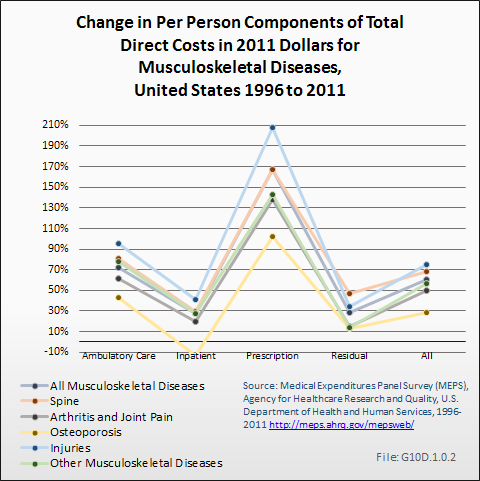 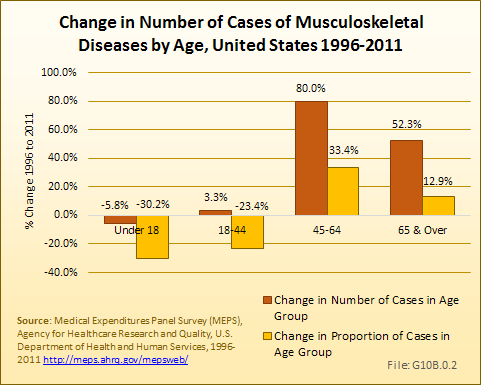 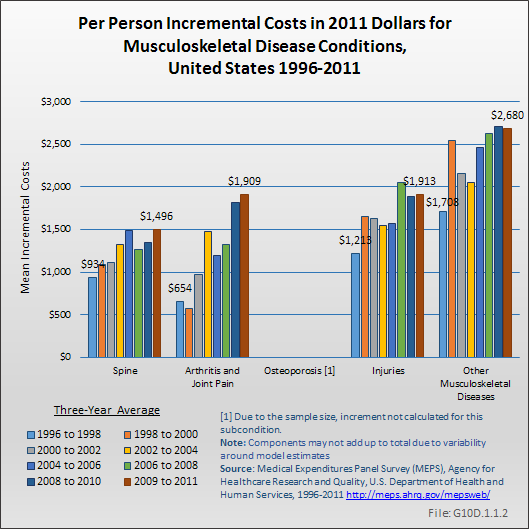 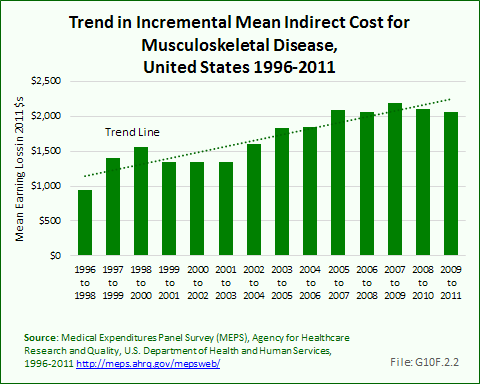 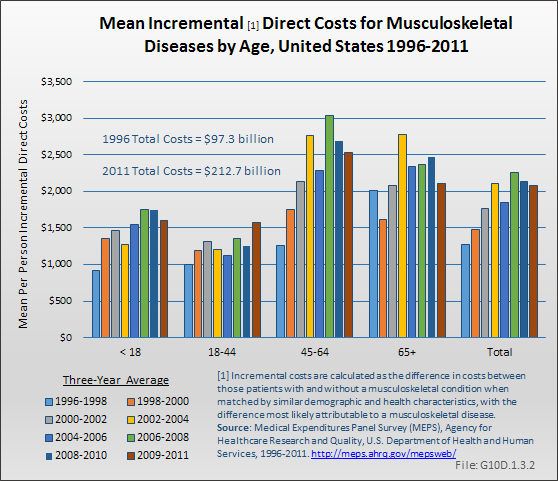 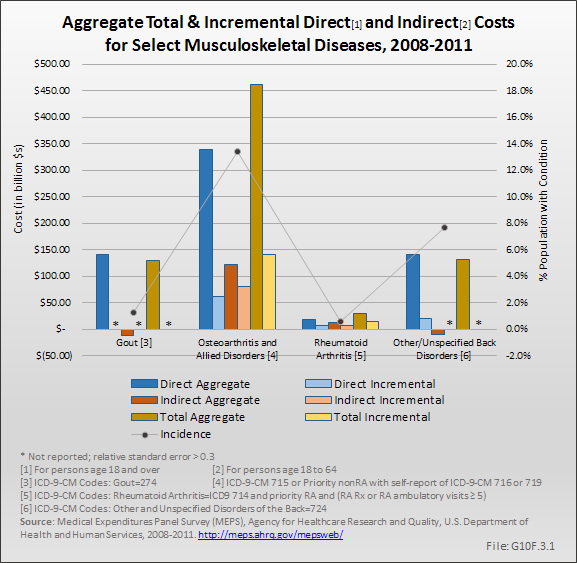 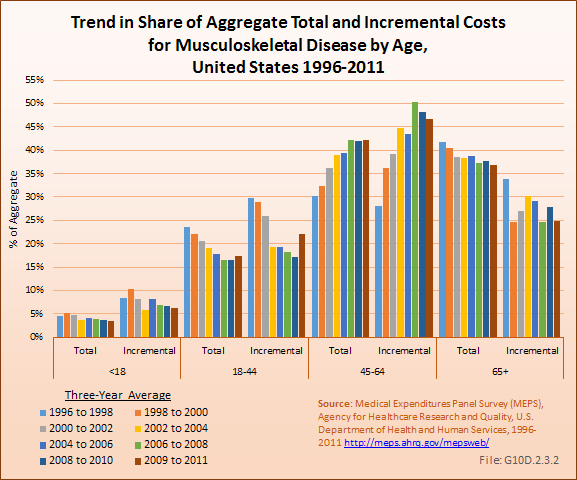 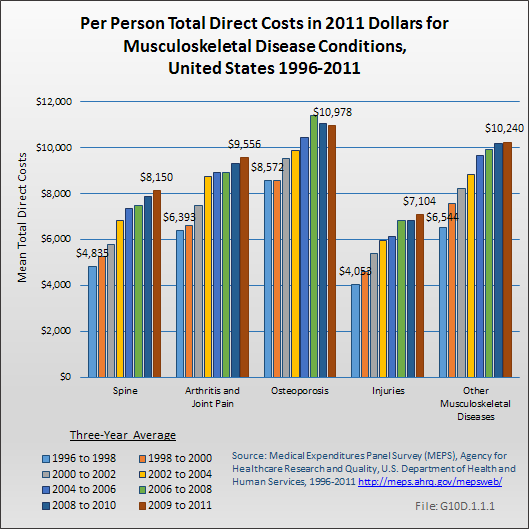 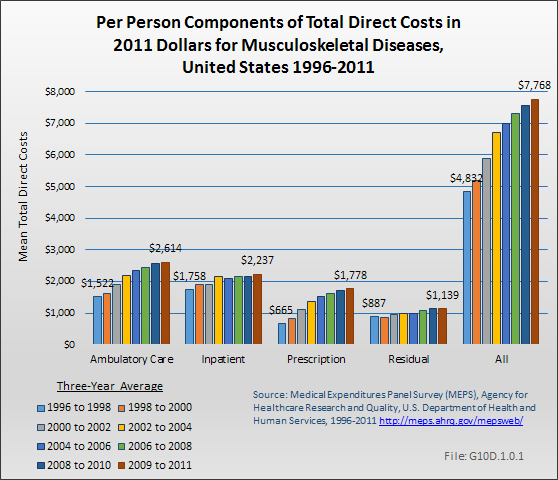 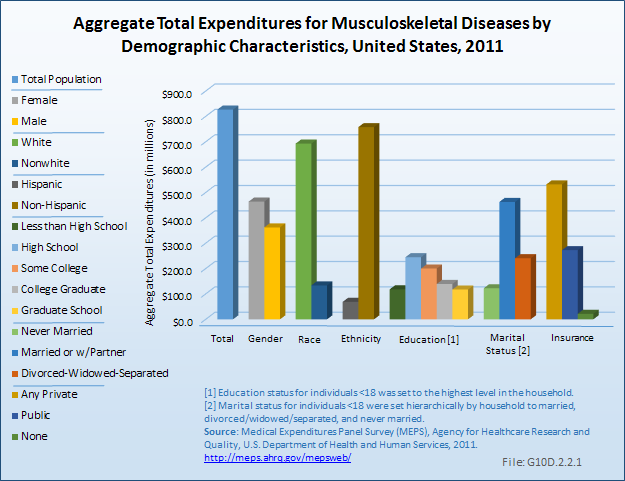 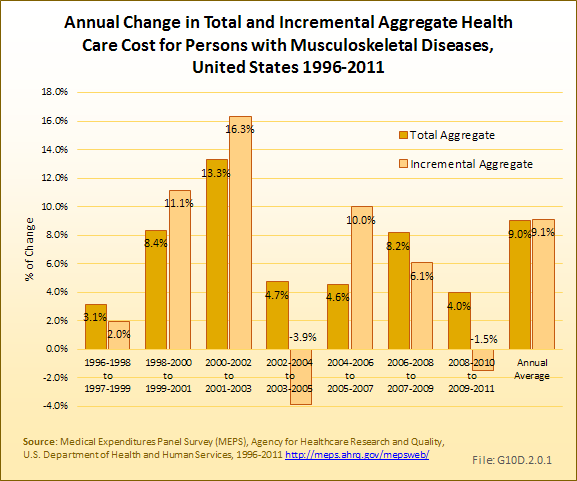 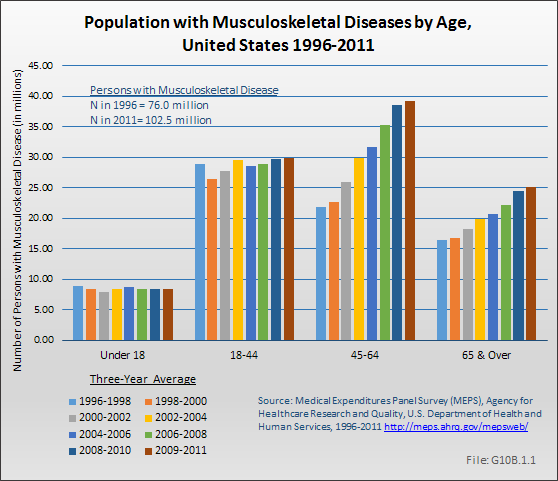 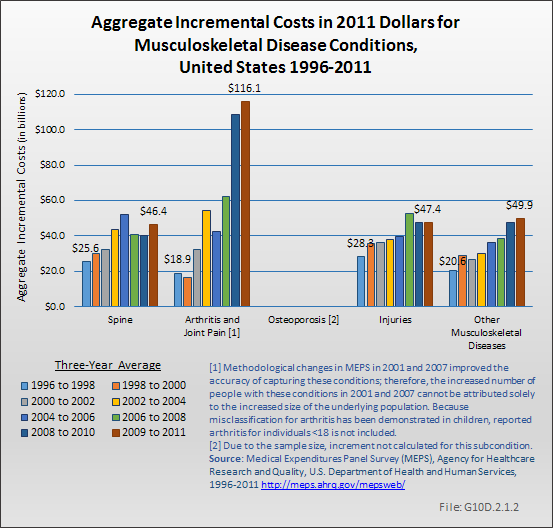 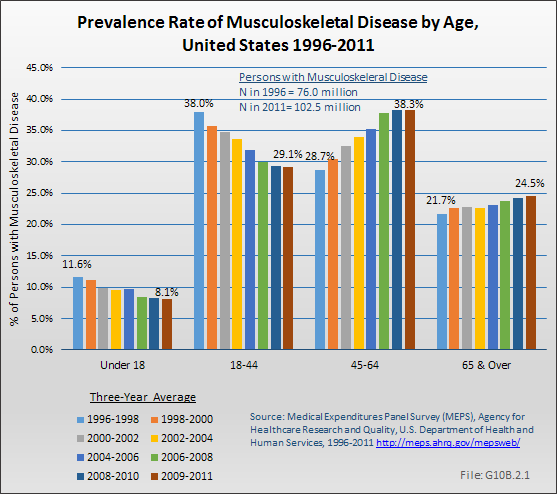 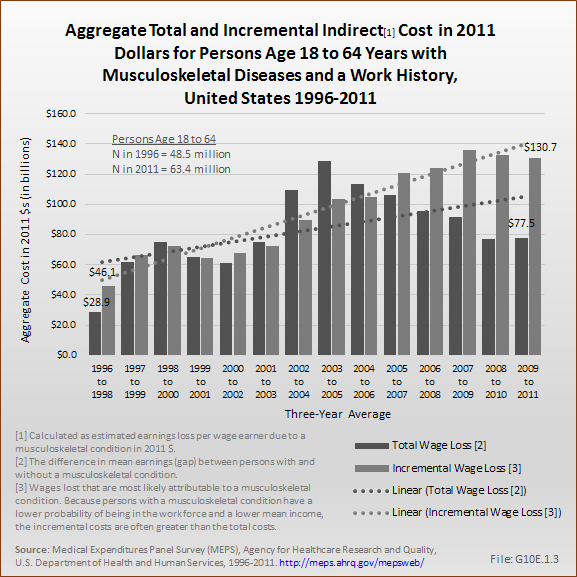 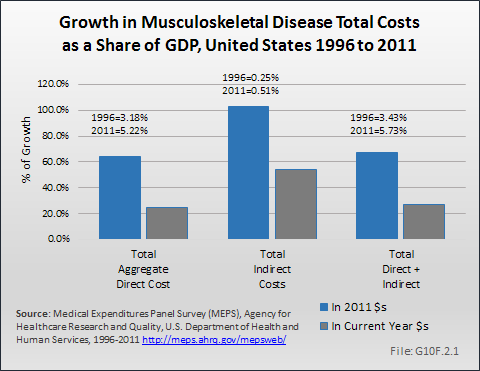 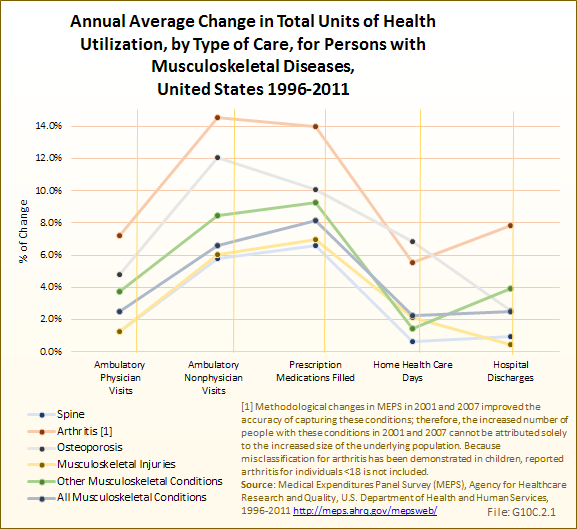 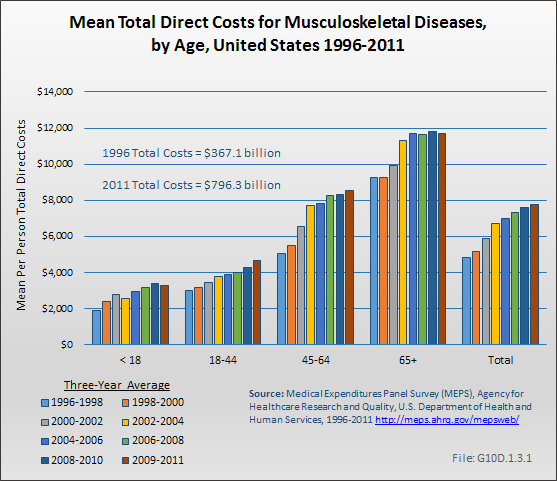 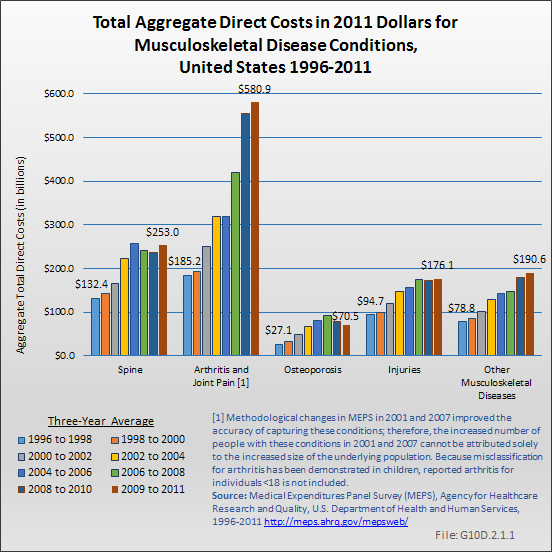 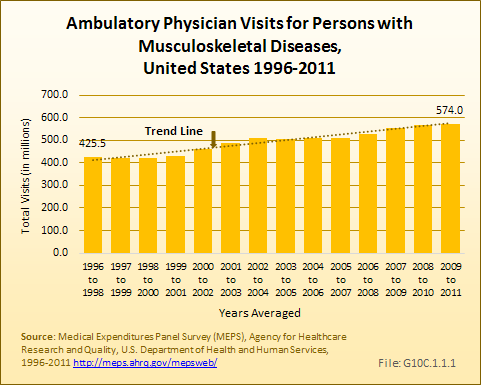 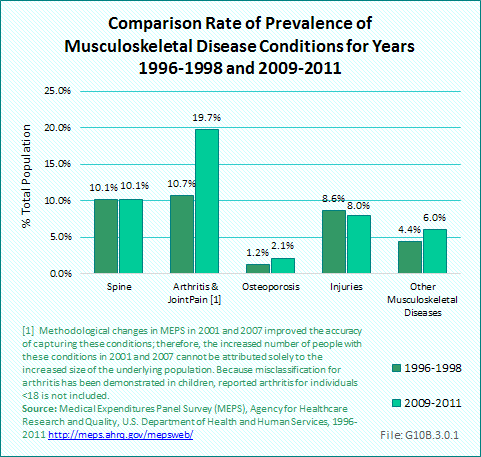 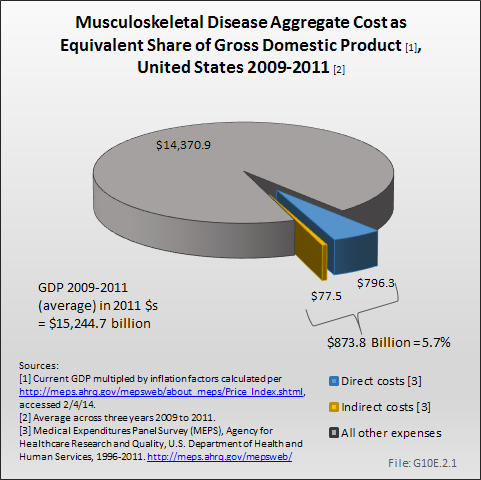 Two factors affect the cost of treating musculoskeletal diseases in the United States. 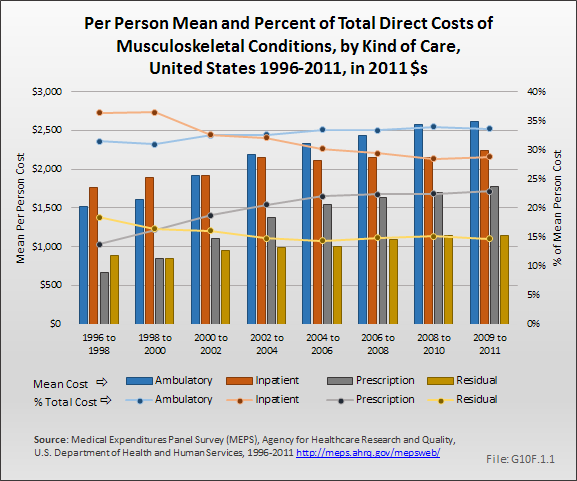 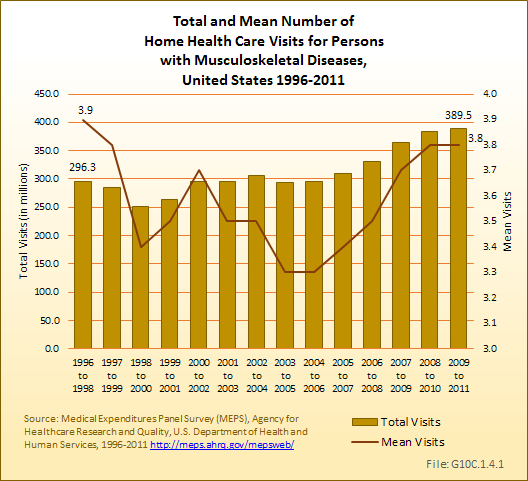 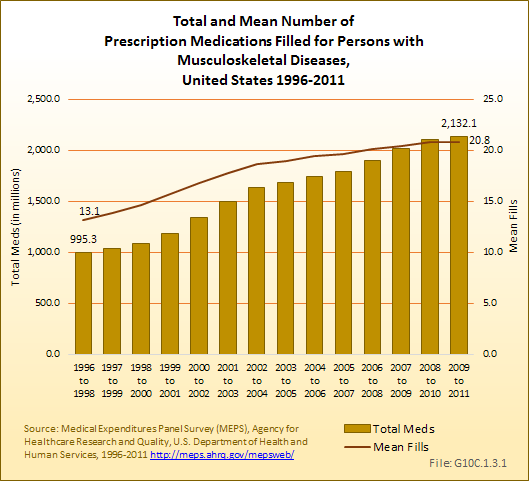 The first is the cost of medical services, which include inpatient and outpatient care, prescriptions, home health care, and a residual or “other” category including such items as medical devices. 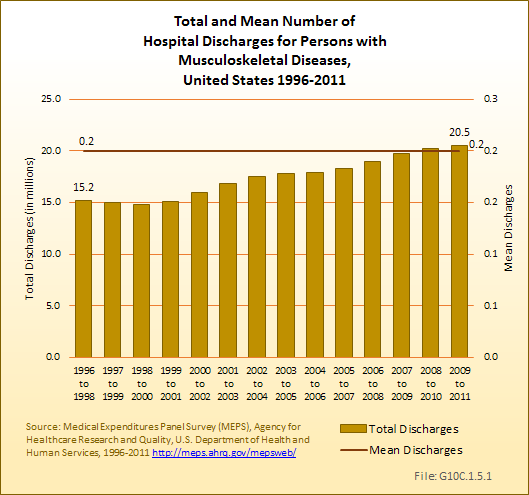 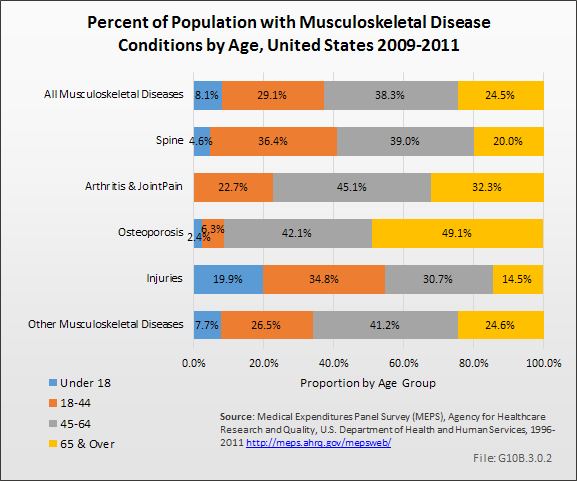 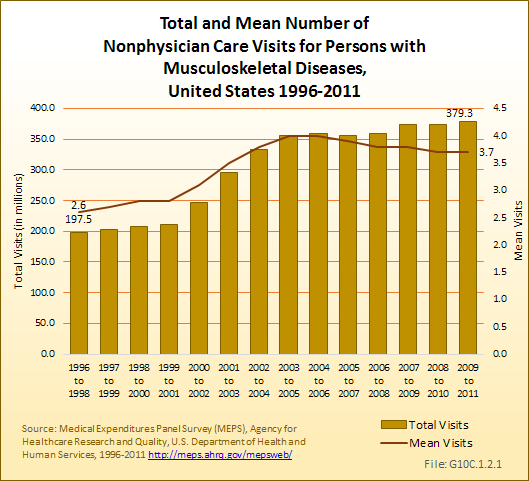 The second is the number of persons in this country with musculoskeletal disease conditions. 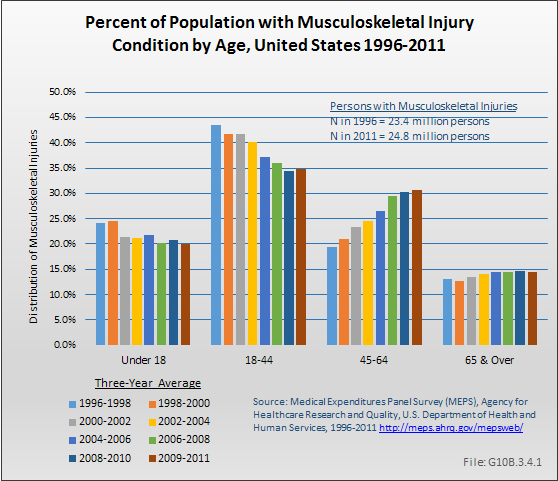 Both will be explored in the associated web pages in this topic, and together, they will establish a baseline against which to assess future needs. 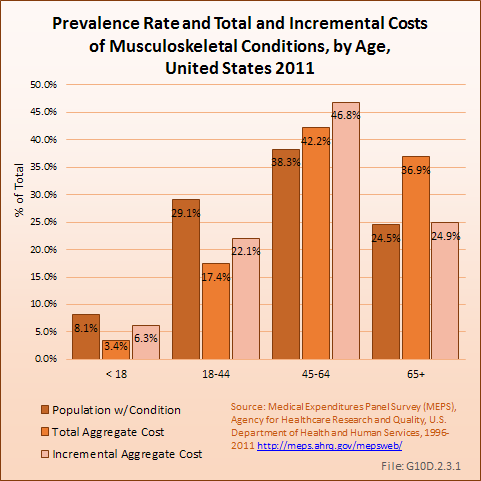 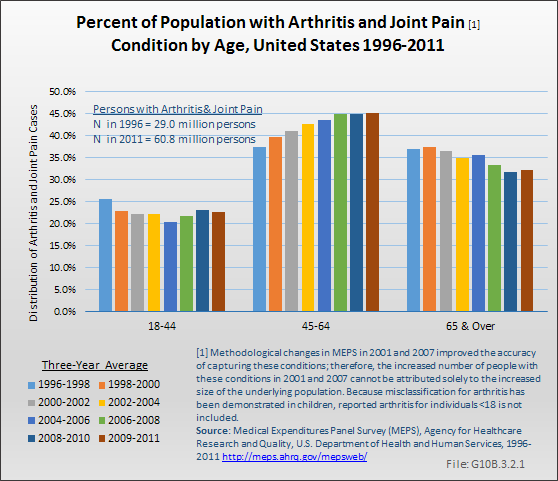 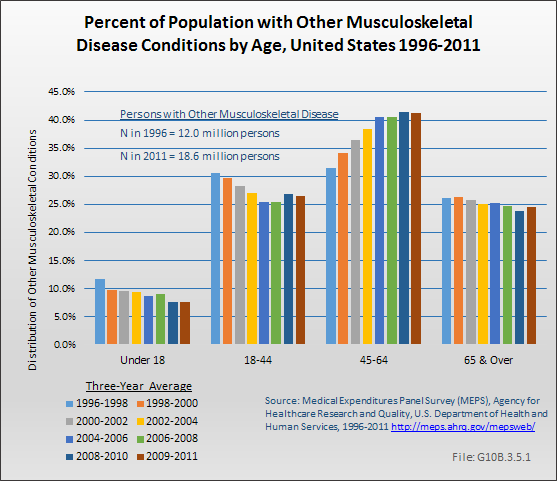 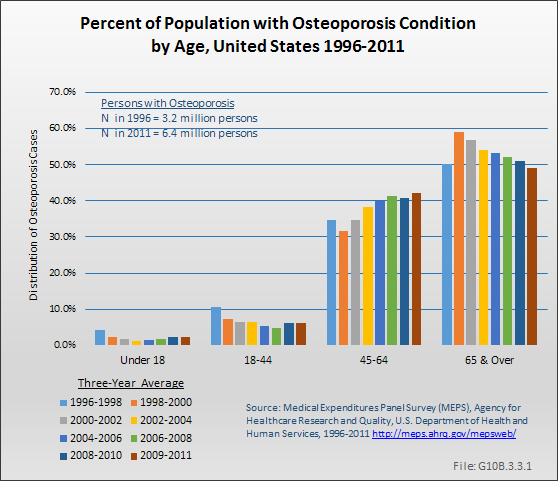 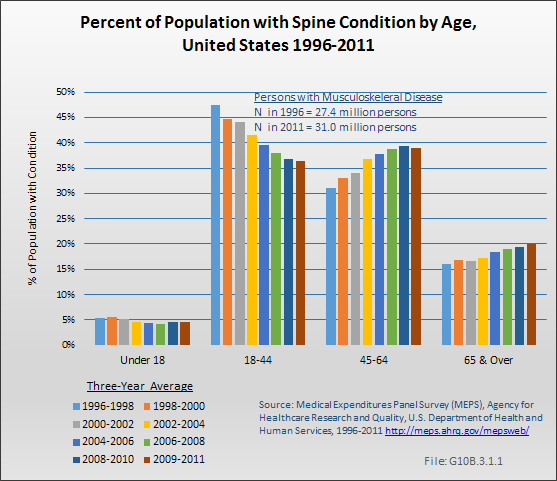 It will be shown that both ongoing costs to treat these conditions and a high prevalence of musculoskeletal conditions in the aging population in relation to other medical conditions results in a huge, and growing, economic impact in the United States each year.